Let your love flow vibrantly just like how the sun loves to shine every day. And there's no other way to show it that this lovely 14-16 inch petite red and yellow roses. 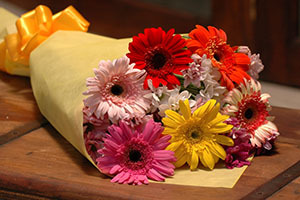 This bouquet lets you express your overflowing feelings. Why shy it away if you can tell her now?